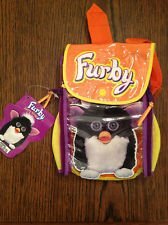 1998 Furby Carry Along Backpack with paperwork. It has never been used. 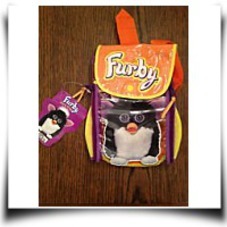 The colors are purple, pink and yellow with clear panels. Package Dim. : Height: 1.6" Length: 9" Depth: 6.1"